Portuguese sports clubs can generally adopt two different legal forms: sports companies or private non-profit associations. Sports companies are governed by Decree-Law No. 10/2013 of 25 January, as amended, which sets forth the framework for sports clubs wishing to participate in professional sports competitions. Sports clubs that do not participate in professional sports competitions may choose to incorporate a sports company and, in this case, the sports companies' regime shall be applicable. Sports companies may be public limited sports companies or single-member private limited liability companies. These types of companies are subject to the general rules applicable to public limited companies and to single-member private limited liability companies established by the Portuguese Companies Code in addition to the specific rules foreseen in the above-mentioned legislation. On the other hand, sports clubs adopting the legal form of a non-profit private association can only participate in non-professional competitions. Sports federations are regulated by Decree-Law No. 248-B/2008 of 31 December, as amended, assuming the legal form of non-profit private associations and obtaining a sports public utility status. Sports federations may be multisport or single-sport federations. There are general rules against corruption and anti-sporting conduct that are applicable to sports organisations. limitations regarding share ownership on sports companies applicable to certain public entities. Moreover, the Companies Code and the Securities Code are also applicable to sports companies. For sports federations, there is also a specific set of rules regarding the individuals that may be appointed to the social bodies of federations, including a list of incompatibilities and limitations to the reappointment of individuals to federations' social bodies. Law No. 50/2007 of 31 August, as amended, provides a specific criminal regime applicable to all sports entities, including sports organisations, aimed at sanctioning anti-sporting behaviours such as corruption, traffic of influence and criminal association. In addition to the criminal regime, sports federations must, inter alia, include in their disciplinary regulations rules regarding the conduct of sports agents, as well as the penalties applicable to any violation of such duties. Besides such rules, the general liability rules foreseen in the Civil Code and the Companies Code are also applicable. Athletes and clubs may challenge before the justice counsel of each sports federation any disciplinary decisions regarding issues arising from the execution of technical and disciplinary rules directly related to sporting competition. Disputes arising from the acts and omissions of the bodies of sports federations and professional sports leagues within the exercise of their public powers are subject to the administrative litigation legal provisions applicable to state courts, with any sporting effects lawfully produced in the meantime under the most recent decision of the competent sport governing body being duly safeguarded. However, according to the Basic Law of Physical Activity and Sports (Law No. 5/2007 of 16 January), a club, athlete or sports stakeholder may not challenge before a state court a sports governing body's decision if such decision is of a purely sporting nature, that is, if it is based upon the disciplinary or technical rules arising from the execution of the rules of the game, the sports regulations and the rules on the organisation of sports events. Disciplinary decisions ruling upon the violation of sports ethics, violence, doping, corruption, racism and xenophobia are not considered issues of a purely sporting nature. Disputes arising from acts and omissions of sports federations, professional leagues and other sports governing bodies executed in the exercise of their regulation, organisation, direction and disciplinary powers, as well as appeals from decisions of disciplinary bodies of sports federations or the Portuguese Anti-Doping Agency regarding the infringement of anti-doping provisions, are subject to the compulsory arbitration of the Portuguese Court of Arbitration for Sport, which was created by Law No. 74/2013 of 6 September and started operating on 1 October 2015. The Court of Arbitration for Sport may rule upon any other disputes that do not fall within the scope of compulsory arbitration but that are directly or indirectly related to sports and that, under the Voluntary Arbitration Law (approved by Law No. 63/2011 of 14 December), may be subject to an arbitral award. Disputes arising from employment contracts between clubs and athletes, especially regarding the lawfulness of dismissal, may also be brought before the Court of Arbitration for Sport on a voluntary basis. The Court of Arbitration for Sport may also rule upon injunctions required by the parties. The arbitration agreement must be made in writing, and must govern rights of a patrimonial nature or rights that do not have such nature insofar as the parties may settle upon those rights. The Court of Arbitration for Sport's activity has been increasing owing to disputes between sports clubs, sports companies, players, TV sports commentators (which may now be liable if commentating on behalf of a club) and sports managers, and the relevant sports federations, namely within football. The Court has been mainly ruling upon disciplinary issues, but it has increasingly been ruling upon other matters, such as doping and electoral issues. An arbitral award may be enforced, and such enforcement can be challenged under the same terms as a decision of a state court. According to Law No. 39/2009 of 30 July, as amended, which provides the legal framework governing against violence, racism, xenophobia and intolerance at sports events, sports federations of the respective sports disciplines, professional leagues of clubs and local associations can organise sports competitions. Moreover, promoters of sports events that are local associations, sports clubs, sports companies and professional leagues or federations may also act as organisers of sports competitions. Additionally, pursuant to the above-mentioned Law, a specific set of information must be printed on sports tickets by sports events organisers. Violation of this obligation triggers the suspension of the sports event. Further, according to the Basic Law of Physical Activity and Sports, the spectator, as a consumer, shall be protected by Law No. 24/96 of 31 July (Consumer Protection Act). According to the Consumer Protection Act, the organiser is legally obliged, upon the conclusion of the contract, to give the spectator several pieces of data and information in a clear, consistent and evidence-based manner. The relationship between the organiser and the spectator shall be guided by the principles of equal treatment, loyalty and good faith, granting the consumer a special right regarding the protection of his or her economic position. The only provision in the Portuguese sports legal framework concerning the contractual relationship between organisers and spectators aims to protect the right of spectators as consumers to prior information as to the amount payable at sports events throughout the season. In addition, the applicable legislation sets forth the conditions governing the access to and presence of spectators in enclosed sports locations. Pursuant to the Basic Law of Physical Activity and Sports, sports federations are responsible for organising and regulating professional sports competitions; assuming the applicable legal and statutory control and supervision functions; and defining the financing rules as well as access organisation requirements applicable to sports competitions. As per the Law, sports federations may delegate the above-mentioned powers to professional leagues. the requirements for the broadcasting of sports events. Under the Portuguese sports legal framework, the government is responsible for policing the areas outside enclosed sports locations, thus ensuring the safety of sports events. The organiser is responsible for policing the inside areas, but can request the policing of such areas to be conducted by the government. According to the Civil Code, the government and the organiser are jointly and severally liable for any acts or omissions, even if committed without fault. Regarding criminal liability, Law No. 39/2009 foresees a series of administrative offences applicable to organisers, promoters and owners of sports events that are related to the violation or breach of the duties legally assigned to such entities. Administrative fines resulting from such administrative offences can amount to €200,000. This type of liability does not require a specific request from a person who has been damaged. The Criminal Code does not foresee any special crimes related to sports. Athletes (also known as sportspersons) can be held liable for damages caused to other sportspersons. However, a distinction must be drawn according to the type of sport in question. In sports played side by side, where athletes use the same place and space for the practice of the sport (such as cycling or skiing), there are two potential regimes applicable under the Civil Code. The first is the regime of non-contractual civil liability, where the athlete can be held liable for acts or omissions practised with fault or negligence. As a consequence, compensation shall be paid for the caused losses. 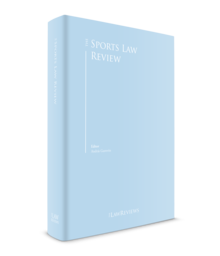 The second is the regime of civil liability foreseen for the practice of a dangerous activity, which implies payment of compensation for arising losses, except in cases where the athlete is proved to have acted with the due care required. In sports where the athlete competes against other athletes (i.e., player against player), the regime of non-contractual civil liability is generally applicable, although sometimes it is held that such liability can be excluded with the consent of the injured party, as provided in both the Civil and Criminal Codes. For example, in combat sports, it can be considered that there is tacit consent on the part of the injured party provided that the rules of the respective sport are adhered to. The injurer does not act intentionally, and therefore there is no criminal liability. Regarding team sports such as football, it can be questioned whether there is tacit consent when injuries are severe. As per Portuguese jurisprudence, in the case of severe injuries, it is considered that liability arises from such acts, as these are against the generally accepted rules of moral and social conduct. Regarding criminal liability, aside from the provisions of the Criminal Code, there is no specific framework that is applicable to athletes. All of the above are punishable with imprisonment or a fine. An ancillary penalty of restriction of access to sports venues can also be applicable. Further, when crimes are committed against sportspersons, sports coaches, referees and others sports agents, the penalties are increased. All of these crimes are public crimes (i.e., they do not depend on the filing of a criminal complaint by the damaged person). There is no specific regime regarding civil liability; therefore, the Civil Code is applicable. Law No. 39/2009 sets forth a series of duties applicable to sports events organisers, and promoters and owners of sports venues regarding the adoption of measures to prevent and sanction unsporting behaviours, such as violence, racism, xenophobia and any form of discrimination. As per the above-referred Law, the crime of participation in a riot is punishable with imprisonment of up to three years or with the payment of a fine. Pursuant to Decree-Law No. 216/2012 of 9 October, as amended, regarding the System of Policing of Sports Events at Sports Venues and Coverage of Costs from General Policing of Sports Events, the costs of policing sports events shall be covered by the respective promoters or organisers. Pursuant to this Decree-Law, in some cases the state co-funds the policing of sports events. Broadcasting, sponsorship, image rights and other personality rights (such as the right to a name), merchandising and trademarks are the main sports-related rights that can be exploited in Portugal. Although there may be some particularities depending on the type of sport in question, usually the above-mentioned rights are owned by sports clubs or by sportspersons, or both. These rights can be transferred or licensed through a written agreement entered into between the respective parties. The Television and Audio-visual On-Demand Services Law (Law No. 27/2007 of 30 July), the Copyright and Related Rights Code (Decree-Law No. 63/85 of 14 March), the Civil Code (Decree-Law No. 47344 of 25 November 1966), the Industrial Property Code (Decree-Law No. 143/2008 of 25 July) and the Constitution of the Portuguese Republic constitute the main legal framework for the protection and enforcement of sports-related rights, and provide the rules and measures for such protection. The main practical issues that rights holders may deal with when seeking protection of their rights are: entering into agreements that are required to adequately protect their rights and, when applicable, registering the rights before the competent entities; evidencing the ownership of rights and any infringement of such rights; and proving, with a reasonable degree of certainty, the damages suffered in consequence of such infringement. in the case of licensing, whether a licence is exclusive. Although not mandatory, it is both common and highly advisable to incorporate in agreements a clear object of use, terms and conditions of termination (including in cases of breach) and consequences of termination (namely, regarding the exploitation of rights), jurisdiction and the applicable law. Law No. 54/2017 of 14 July on athletes' employment contracts, sports training contracts and agents' contracts was recently adopted, repealing Law No. 28/98 of 26 June. Employment contracts for athletes must be in written form, in triplicate and are always fixed term, for a minimum of one sports season to a maximum of five sports seasons (for contracts entered into by minors, the maximum is three sports seasons). A collective bargaining agreement for professional football players sets forth a mandatory minimum monthly salary for the different football divisions. A club and athlete may agree upon an increase or decrease in salary depending on whether the club is promoted to a higher division or drops to a lower division. Law No. 54/2017 has specifically provided for the 'termination clauses', under which the parties agree that the athlete may unilaterally and without cause terminate the employment contract, insofar as he or she pays a previously agreed compensation. If the athlete terminates his or her employment contract without cause, a presumption has been set forth that his or her new club had an intervention in such termination; failure to rebut the presumption determines the joint liability of the athlete and his or her new club to pay compensation to the former club. Pursuant to said Law, in the case of termination without cause, the athlete is no longer entitled to reinstatement in the former club. Finally, Law No. 54/2017 sets up a legal framework for agents' contracts, which (1) may not be entered into by minors, (2) have a maximum duration of two years (renewable by decision of both parties) and, (3) if entered into by an athlete, the agent's remuneration shall be capped at 10 per cent of the net salary of the athlete. According to the applicable legislation, athletes may not be denied registration with any sports federation if such athletes fulfil the requirements that are deemed necessary by such federation. In addition, under Portuguese labour legislation, the access of a job candidate or an employee to any type of professional activity or training to gain access to such activity may not be limited based on nationality. However, in football, for instance, clubs must have at least eight home-grown players in their team, such players being those who, between the ages of 15 and 21, were registered with the Portuguese Football Federation for at least three sporting seasons. Employment-related provisions in the statutes or regulations of (international) sports governing bodies may be incorporated into the employment contracts of athletes insofar as such provisions do not collide with mandatory legal provisions. Legal provisions regarding employment contracts, namely those under the Labour Code, are subsidiarily applicable to the employment relations between clubs and athletes. In Portugal, there is no specific legislation regarding competition in the sports sector. Therefore, the Competition Act enacted by Law No. 19/2012 of 8 May, and the EU competition and antitrust regulations are applicable. In general terms, in Portugal, all agreements, collective decisions and recommendations, as well as concerted practices or decisions by associations of undertakings that aim to prevent, restrict or distort competition, or that achieve the prevention, restriction or distortion of competition, are prohibited. For that reason, undertakings must determine their market behaviour independently. Where there is evidence of coordination or collusion, the existence of anticompetitive practices is likely and must be corrected. Until 2007, a special regime for personal income tax (PIT) purposes applied to Portuguese tax-resident contracted athletes, sports players and referees under which said taxpayers were entitled to opt (other than in respect of advertising-related income) for the taxation of their net income at progressive tax rates (thereby benefiting from an unlimited deduction of insurance contributions), or for a reduced autonomous and flat taxation applicable to their gross income. This special tax regime is no longer available to Portuguese tax-resident contracted athletes, sports players and referees, regardless of the national or international nature of the underlying sports event; such taxpayers do, however, benefit from some specific provisions. Portuguese tax-resident sportspersons who are contracted or self-employed may deduct, up to a maximum limit of €2,144.50 on the amount of the income they have received, their contributions to life, personal illness and accident insurance policies, as well as to insurance schemes that guarantee (once the individual reaches the age of 55) a pension upon retirement, disability or death. The underlying policy must not guarantee any return of capital and no payment can be made in the insured's lifetime during the initial five-year period. Moreover, under certain conditions, no PIT applies to allowances granted to high-performance athletes and their coaches by the Portuguese Olympic and Paralympic Committee and by sports federations benefiting from having 'public utility' status; training allowances, such as those recognised by a joint decision of the Finance and Sports Ministers and granted by sports federations benefiting from the 'public utility' status to non-professional sportspersons (including athletes, judges and referees) to a maximum limit of €2,375; and prizes granted as recognition for high-value and high-merit competitive sports events under the applicable laws (such as the Olympic, Paralympic and Deaflympic Games, World and European championships and the Universiade). For non-resident contracted sportspersons, PIT is withheld at a final rate of 25 per cent on the gross payment of Category A income if their activities are personally exercised in Portugal, irrespective of whether the payer is established in Portugal or the income accrues to a person other than the relevant athlete. The same 25 per cent final withholding tax rate applies to (non-resident) self-employed sportspersons in consideration of sporting activities. Where sports-related services are rendered by using a rent-a-star company, no PIT applies to the payments made to the company. However, fees for sports-related services paid to a non-resident entity controlled by sportspersons are taxed as business profits, and are subject to corporate income tax (CIT) if they are attributable to a Portuguese permanent establishment. In other cases, such fees paid for services supplied or used in Portugal are subject to a final 25 per cent withholding tax, unless an applicable double tax treaty provides otherwise. Within an international context, it is worth noting that Portugal tends to follow closely the Organisation for Economic Co-operation and Development Model Tax Convention on Income and on Capital, having made no reservation to Article 17 or observation on its commentaries. On that basis, the general rule that it is possible, without any limitation in Portugal, to tax the activities of sportspersons therein exercised, irrespective of whether such income accrues to the athlete him or herself or to another person, should apply. Notwithstanding the above, on a case-by-case basis, the government tends to grant tax exemptions to high-exposure international sports events. One example can be found in the general PIT and CIT exemptions granted to the organiser and participating clubs, players and technical teams of the 2013–14 UEFA Champions League and 2013–14 UEFA Women's Champions League. Law No. 38/2012 of 28 August, as amended, establishes the Portuguese Legal Regime of Anti-Doping in Sports, according to which violations of anti-doping rules may entail the following. The trafficking or attempted trafficking of prohibited substances or methods may be subject to imprisonment for a term ranging between six months and five years. Additionally, the administration or attempted administration of prohibited substances or methods may be subject to imprisonment for a term ranging between six months and three years, unless such administration is authorised for therapeutic purposes. The above imprisonment penalties may be increased to the double of their minimum and maximum limits in the following cases: the victim is particularly vulnerable because of his or her age, disability or illness; the author of the act acted through misleading or intimidating the victim; or the author of the act has prevailed on the victim through a relationship of hierarchical, economic or professional dependency. The provisions concerning administrative offences have undergone recent amendments, by virtue of Law No. 93/2015 of 13 August, which transposed the World Anti-Doping Code rules into Portuguese law. Currently, they consist of the following. Conduct that subverts the doping control process is considered to be an administrative offence subject to fines of up to approximately €10,000. The possession of any prohibited substance or method by an athlete, or by a support staff member connected to the athlete, competition or training place, is also considered to be an administrative offence unless the athlete establishes that such possession is consistent with the therapeutic use exemption or gives another justifiable reason. Moreover, assisting, encouraging, aiding, abetting, conspiring, covering up or any other type of intentional complicity involving (1) an anti-doping rule violation, (2) any attempted anti-doping rule violation, or (3) the violation of the prohibition of participating in a sports competition during the suspension period, by another person, constitutes an administrative offence. In addition, association in a professional or sport-related capacity with a support staff member who (1) is serving a suspension period, (2) has been convicted in a criminal or disciplinary proceeding to have engaged in conduct equivalent to an anti-doping rules violation, or (3) is acting on behalf of or as an intermediary of any of the individuals described above, is considered to be an administrative offence. Teams, clubs or sports public limited companies that breach anti-doping rules and that participate in official sports competitions may also be subject to fines. Doping is considered to be a disciplinary offence subject to a suspension period of up to 25 years, depending on the circumstances. An anti-doping rule violation may lead to the disqualification of the athlete's individual results with all attending consequences, including the athlete's forfeiture of all medals, points and prizes. The Portuguese legal framework applicable to betting is regulated by Decree-Law 422/89 of 2 December, as amended, which sets out general provisions and principles related to the gaming industry, including rules for casinos and gambling houses. Moreover, Decree-Law No. 84/85 of 28 March, as amended, establishes the regime for lotteries and lotto, granting the exclusive right to organise and operate the same to Lisbon Holy House of Mercy,2 a non-profit making organisation operating under the control of the government. According to Decree-Laws Nos. 67/2015 and 68/2015, both of 29 April, Lisbon Holy House of Mercy also has the exclusive right to the exploitation and operation of betting on sports events and horse races on a territorial basis. In relation to online gambling and betting on sports events, Decree-Law No. 66/2015 of 29 April, foresees that the right to exploit such activities is reserved to the government. The government can, however, grant online gambling and betting licences to public limited liability companies with a registered office in an EU or European Economic Area Member State, if certain conditions are met. Law No. 50/2007 of 31 August, as amended, foresees that corruption, illicit use of connections and criminal conspiracy that aims to manipulate the results of sports events are considered criminal offences subject to up to five years' imprisonment, a term that is extended in the case of sports leaders, referees and managers. This Law also sets forth ancillary penalties, such as suspension from sports competitions for up to three years, privation of the right to receive public subventions and a prohibition on performing sporting duties for a period of up to five years. Moreover, on 7 August 2015, Portugal ratified the Council of Europe Convention on the Manipulation of Sports Competitions, which commits Member States and sports organisations to raise their efforts in the fight against corruption, match-fixing, illegal betting operations and other kinds of malpractice in sports competitions. According to Decree-Law No. 28/84 of 20 January, as amended, grey market sales may be considered to be a criminal offence subject to imprisonment for a term ranging between six months and three years and a fine of not less than 100 days in cases where tickets for an event are sold at a higher price than the price fixed by the event organiser. During 2018, there has been a notable increase in sports or sports-related disputes, especially employment, disciplinary and criminal matters, such as termination of employment contracts by the employees owing to physical and psychological violence against them from the club and the supporters, violent behaviour of supporters leading to matches played behind closed doors, bribery and match-fixing. The Court of Arbitration for Sport's activity has also increased, with six procedures initiated in 2015, 31 in 2016, 76 in 2017 and 66 in the first three quarters of 2018.
study and propose administrative and legislative measures that are adequate to the prevention and combat of violence, racism, xenophobia and intolerance in sports events. 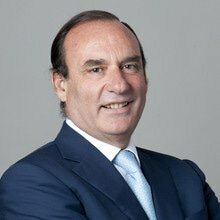 1 Luís Soares de Sousa is a partner at Cuatrecasas. The author would like to acknowledge, with thanks, the assistance of the following colleagues: Telma Carvalho, Sónia Queiróz Vaz, Tiago Gonçalves Marques, Rui Vaz Pereira, Ana Costa Teixeira and Rita Caçador. 2 Santa Casa da Misericórdia de Lisboa.